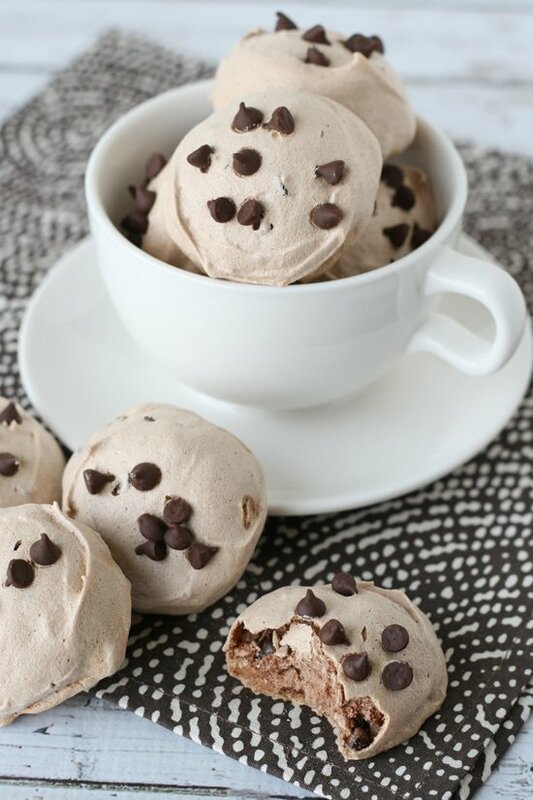 These Mocha Chocolate Chip Meringues are sweet, crisp, light as air, and simply delicious! 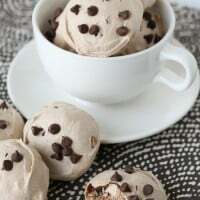 If you’ve never had a meringue cookie they are quite different from a traditional cookie (such as a chocolate chip cookie, etc). Meringues are made from egg whites, sugar, and whatever flavoring you chose and are light, crisp little puffs sweetness and air. 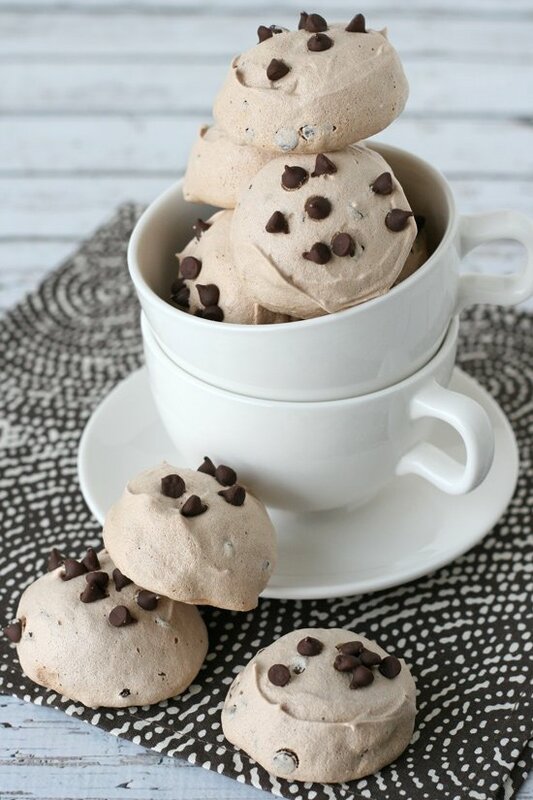 Feel free to adjust the recipe by omitting the coffee and simply making delicious chocolate chip meringues. Once you try these simple and sweet little treats, you’ll want to make them again and again! 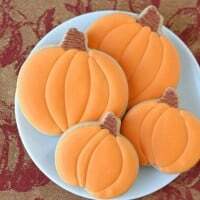 If by chance you’re cutting calories, these little treats are quite low in fat and calories compared to a traditional cookie. Also, they’re gluten free and could be easily made dairy free by choosing dairy free chocolate chips. Coffee and chocolate are a delicious combo in these light-as-air cookies! To ensure the egg whites whip up properly, be sure no egg yolk get into the whites, and be sure all bowls and utensils used are very clean and oil-free. Additionally, follow the other steps of the recipe carefully, including bringing the egg whites to room temperature, beating the whites slowly at first, and adding the sugar a little at a time. I just love making meringues, they are truly satisfying. What a neat and lighter treat! 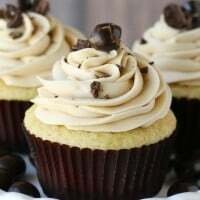 Yummm, that looks wonderful! Will be trying out soon…I love meringues! Thank you, Glory! Happy New Year! Yum – they look great! I love meringues – so light and airy! Thanks for sharing your recipe. I made these yesterday and these were very yummy. I’ve never had a meringue dessert before, so I was a bit surprised at how light, crispy, and how easy it was to peel these up.. I used a piping bag for mine and piped it like macarons. Hands down my favorite cookie,,,,if I can resist eating the raw meringue. I make a similar one using Trablit. Its a french coffee extract, last time I bought it at Surfas in Cali. An amazing product! Happy New Year Glory!!! So I’ve made these cookies twice this week! My family loves them! My only problem is mine aren’t baking up in little puffs. They spread out a bit and flatten. They are still delicious and obviously they are being eaten quickly. I’m just wondering what I’m doing wrong. Any thoughts? A lovely, healthier cookie! These look fantastic! Yummm, that looks sublime! Will be going for soon…its one of my favourite cookie. Chris, sometimes high humidity will make a difference. What if i don’t have electric mixer? Can it be still foamy if i stir it manually? 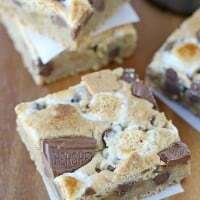 I just made these and while they are delicious, they also were flat like a couple others mentioned. I had just baked a batch of meringue cookies that were almost the same ingredients, just different flavoring, and those puffed up beautifully. For me I think the difference is in when to beat the whites into stiff peaks – my other recipe has me do that before adding the sugar. I’ve made it many times that way and always turns out great. After I add the sugar it seems to get much more liquid and won’t stiffen as much again. Hope this helps and I will try again! Wow!! I thought these would be good, but they’re great! So much flavor! When I started out, I thought there could never be enough to make the yield, but I got 19 out of it. Thanks!! Merry Christmas! I need to make these smaller. Perhaps the one tablespoon size. 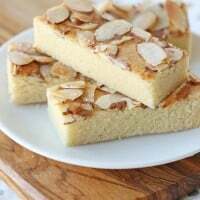 Would you adjust the baking time to half? I made them with the 2T scoop. They were unbelievable! Thanks for your help.